Since 2014 Europe has witnessed the biggest migration crisis since World War II, with more than 1.8 million people arriving on the continent. Many have taken the so-called ‘Balkan route’, arriving by sea to Greece and then travelling overland through Macedonia, Serbia and Hungary and on to Austria and Germany, and I spent much of 2015 chronicling their passage along this well-trodden path into the heart of the European Union. But by March 2016, additional border security had made the journey next to impossible and I found migrants and refugees making increasingly difficult and risky journeys, often placing themselves in the hands of people-smugglers to get across closed borders. Romania had largely been bypassed by the new arrivals – until last year. While in 2016 only one migrant arrived in Romania by sea, over the course of a four-month period between early August and late November 2017, more than 500 migrants and refugees succeeded in making the crossing from Turkey, often in dangerous sailing conditions. A further 800 were caught en route and detained by Turkish authorities. The new influx was thanks to smugglers sending boats full of migrants and refugees directly from Turkey to Romania in order to test the viability of a ‘Black Sea route’. When I arrived in Romania to cover the freshly opened crossing I found the country unprepared for the new arrivals, with officials scrambling to perform sea rescues and to find temporary accommodation and provisions. On 12th September 2017, the Romanian coast guard’s surveillance system detected the season’s fifth such vessel. An old fishing boat was caught adrift in strong winds and poor weather, 32 nautical miles offshore. By late that evening the vessel had been towed to land after a complicated rescue in which the coast guard came alongside the boat and tried to coach the passengers on how to pilot it while a tugboat was summoned. The boat was finally brought into Midia, a shipping port north of Constanța. The 157 passengers who had been tightly packed on board were moved to a coast guard facility where they were detained while the authorities attempted to establish who qualified for asylum and who was responsible for the smuggling. 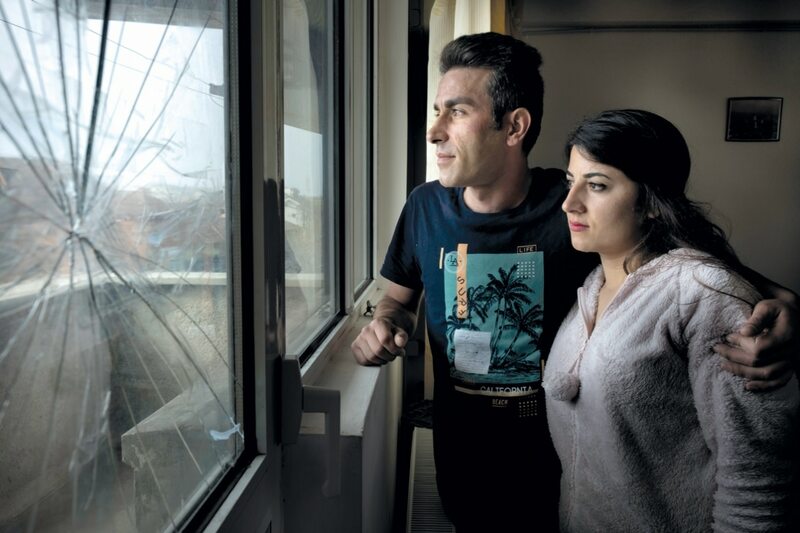 Among those aboard were a Kurdish couple, Mohammed Gholamipour and Parvaneh Khezernejhad, from Iran’s West Azerbaijan province, which shares a border with Turkey. The pair were newlyweds and expecting their first child. After a long and terrifying voyage, they had finally arrived in Europe. It wasn’t war or economic privation that caused Mohammed and Parvaneh to flee to Europe, but love. Mohammed first noticed his cousin Parvaneh at his brother’s wedding. She was ten years his junior, with dark eyes and shiny black hair. “Somehow I fell in love with her. I could understand her in every way,” he would later tell me. Determined to win her hand, he went to speak to his aunt, Parvaneh’s mother, about his feelings. When the answer came back that Parvaneh was attracted to him too, Mohammed was “over the moon”. The next step was to formally propose and obtain the approval of Parvaneh’s father. But there was a major hurdle: Parvaneh was promised to another man. On top of that, there was bad blood between Parvaneh’s father and Mohammed’s dad – the two were brothers-in-law – and he refused to give his consent. In the years that followed, Mohammed persisted, but his uncle continued to reject the marriage proposals. Secretly, Mohammed gave Parvaneh a mobile phone so they could communicate. 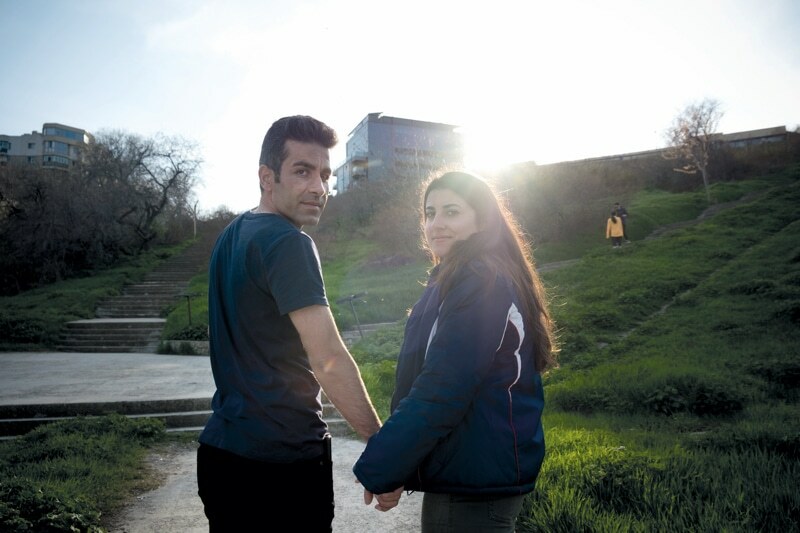 “After that, we started talking to each other and we started loving each other,” says Parvaneh. But falling in love was dangerous for a young Kurdish couple in a tight-knit tribal community in which honour is prized above all else. Over the years, Mohammed had worked a variety of jobs. His father was elderly and his mother ill, and the family sank into poverty. At one point, he rented a stall at the market and sold shoes; at another, he and one of his brothers tried petrol smuggling, a common occupation in the border regions. That job ended in tragedy. Mohammed’s brother, who he calls his best friend, burned to death after police shot at his vehicle and it burst into flames. After that, Mohammed found jobs at a pharmacy and a hospital, worked as a forklift driver in Iraq and with family members making cabinets. Eventually, he managed to save a stash of money, enough to run away with Parvaneh, and the couple concocted a plan to elope to Turkey and on to Europe. As they approached the airport in Tabriz, Mohammed switched his mobile phone on. It started beeping with messages from his brothers and cousins, pleading with him to turn back. If the couple left, their families would turn against them forever. But they were determined, propelled by their desire to be together. They held each other’s hands tightly as they boarded a flight to Turkey. In Istanbul they were met by a people-smuggler who promised to get them to Europe, where they would be safe from their family’s vengeance. But first they wanted to marry. In a mosque in the Aksaray district of Istanbul, known as a neighbourhood of immigrants and smugglers, Mohammed and Parvaneh became husband and wife. After the ceremony, they strolled up to Sultanahmet, where they posed in front of the fountain at the Hagia Sophia. In photos they took on their mobile phones, the couple look happy: 32-year-old Mohammed, handsome with his shock of wavy hair, and Parvaneh, 23, relaxed with her hair loose and wearing western clothes. The smuggler had arranged documents and a flight for the pair to Tbilisi in Georgia. From there, they planned to fly to Germany. But at the airport in Georgia officials suspected their forged French passports were fakes, since neither of them spoke French. They were held for deportation then sent back to Turkey. Once back in Istanbul, they found the smuggler had disappeared, along with the €10,000 they had paid him. Shortly after their return, Parvaneh discovered she was pregnant. Around the same time they were tipped off that her brothers were looking for her and Mohammed in Turkey. After two months in Turkey, their savings were diminishing rapidly and they believed it was only a matter of time before they were discovered. They considered their options. First they thought about heading to Greece, but changed their minds after hearing reports that the country was struggling to cope with the migrants and refugees who were already there. Another option was to travel to Italy, but that route was long and becoming increasingly difficult. Finally, a friend tipped them off that there were ships taking people to Romania. From there, he said, they could travel overland to Germany. They paid €2,300 each for the journey. When they arrived for their voyage, instead of the comfortable tourist ferry that had been promised, they found a rusty blue-and-yellow fishing trawler, its fishing gear removed and more than 150 people crammed aboard. The 12-hour journey they had anticipated turned into a three-day ordeal, as the vessel was tossed about in rough waters and buffeted by strong winds. Parvaneh was terribly seasick during the journey, her condition exacerbated by the pregnancy. Romania offered little comfort to the couple when they finally arrived. They spent three days in a detention centre while officials tried to identify the people-smugglers who had organised the journey and piloted the vessel. The investigation’s outcome came as a shock: Mohammed’s fingerprints – along with those of two other men, an Iraqi called Bryar Shah Murad and a Turk called Yusuf Esen – had been found in the boat’s wheelhouse and the authorities’ suspicions had fallen on all three. Having identified their suspects, police wrestled Mohammed to the ground and handcuffed him in front of the other detained immigrants. Eight months later, a rust-coloured mark still remains in his left eye from the injuries he sustained that day. As her husband was manhandled, Parvaneh looked on, shocked and afraid. Her dream of a life together with Mohammed was disintegrating. “They acted like they were trying to catch a murderer,” she says. Around Romania there are several premises used to accommodate asylum seekers as they wait for their cases to be assessed. At one dormitory I visited in Bucharest, migrants and refugees, including women, children and elderly people, were standing outside on a cold day, trying to warm themselves in the weak winter sun. They complained about dirty conditions and bedbugs. One girl’s hands were covered in bites. Some of those I met had been granted asylum, while others were still waiting. Others had been denied and were appealing the decision. Many had plans to continue travelling towards Western European countries including Germany and the UK. I arrived in Romania a week after Mohammed and Parvaneh’s boat was towed into Midia. They had been transferred to the city of Constanța, where I went to meet some of those who had been on board. Neatly dressed in a double-breasted coat and wearing her long hair parted in the middle and pinned at the sides, Parvaneh stood out among the other passengers, most of whom were dressed in second-hand clothes provided to them by volunteers. Through a translator Parvaneh told me about her life growing up in a large Kurdish family, with 11 siblings and five half-siblings through her father’s second wife. She loved to learn and dreamed of becoming a doctor, but was forced to quit high school a year before graduating. Her father didn’t approve of women’s education. Parvaneh and I arranged to meet again two weeks later at the Constanța tribunal where Mohammed was scheduled to appear in court for his first hearing. By this time Mohammed and the two other accused men had been moved to a crowded pre-trial detention facility while Parvaneh had been relocated to a centre for asylum-seekers a few hours’ drive from Constanța. She travelled by bus to Constanța in order to attend the hearings. Since our initial meeting, Parvaneh had received more bad news. She had been taken to the hospital for a medical check where doctors confirmed what she already suspected: she’d suffered a miscarriage. Mohammed’s lawyer, Serban Calafus, wouldn’t initially grant me an interview, so the lawyer appointed to defend Bryar and Yusuf became my guide to the process. Unlike Serban, who is formal and evasive, Sergiu Comanita is talkative and prone to expressing his grievances in a flood of colloquial English peppered with profanities. Sergiu told me that the system is stacked against people like Mohammed and that it’s all but impossible for them to get a fair trial. Court-appointed attorneys only receive nominal fees, he explained, which is insufficient for them to conduct a proper investigation on behalf of their clients. On top of that, Sergiu thought the prosecutor in Mohammed’s case was keen to make an example out of the accused and that the judge didn’t want to appear “soft”. The prosecution began to prepare its evidence. 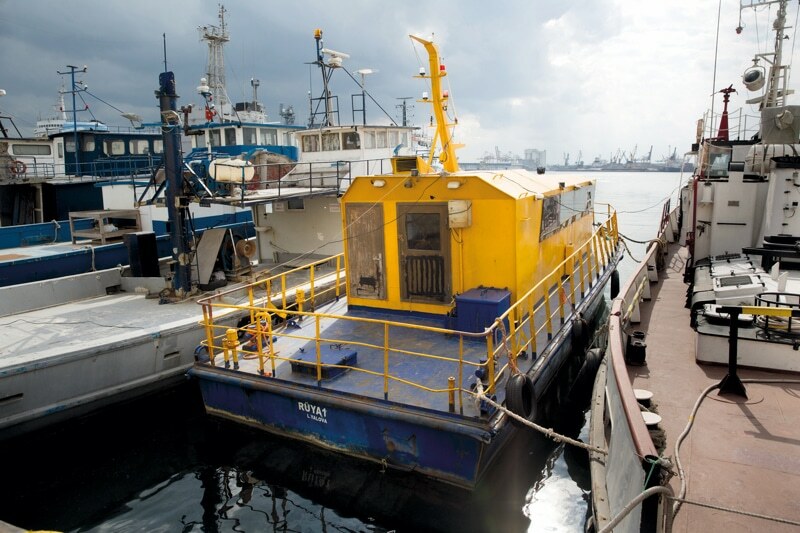 After having gathered fingerprints, the police took the accused aboard the boat, now docked in Constanța. They asked the suspects to show them round the vessel. The prosecutor’s report shows photographs of Mohammed and the other two suspects in the wheelhouse and the engine room, where the police asked them to pose for pictures. Bryar and Yusuf told the same story: the captain abandoned his post and they and other passengers were left to try to pilot the boat. Mohammed later detailed his own version of events to me, handwritten over ten pages of lined notebook paper while he was in prison. According to the notes, over the course of the journey many passengers fell ill, but Parvaneh was one of the sickest. She was in the early stages of pregnancy and vomiting non-stop. Mohammed was desperate to help her, so he convinced the captain to let her lie on the floor of the bridge, where it was less crowded. Mohammed stood over her, standing upright for the entire trip so his wife could lie down. “For balance and to avoid falling on my pregnant wife, I held on to the accelerator,” he wrote, “That’s how my fingerprints came to be left there.” He categorically denies any involvement in people smuggling. Romania appears to be taking a page from the playbook used by other European countries in trying to show it is tough on human trafficking. From the six boats that arrived in Romania in 2017, 12 suspects have been arrested. In many cases in Europe, there’s a thin line between refugees and people-smugglers. The real criminals in the smuggling networks don’t travel abroad and those most likely to be caught by authorities are low-level operators. In September 2017, The Intercept reported that in Italy a number of people serving sentences for trafficking were forced at gunpoint to pilot boats or even simply hold a compass during the journey. The reports followed its 2016 investigation which claimed many suspects were held in custody on the basis of hastily executed interviews and flimsy evidence gathered from other passengers who may have been trying to save their own skins. 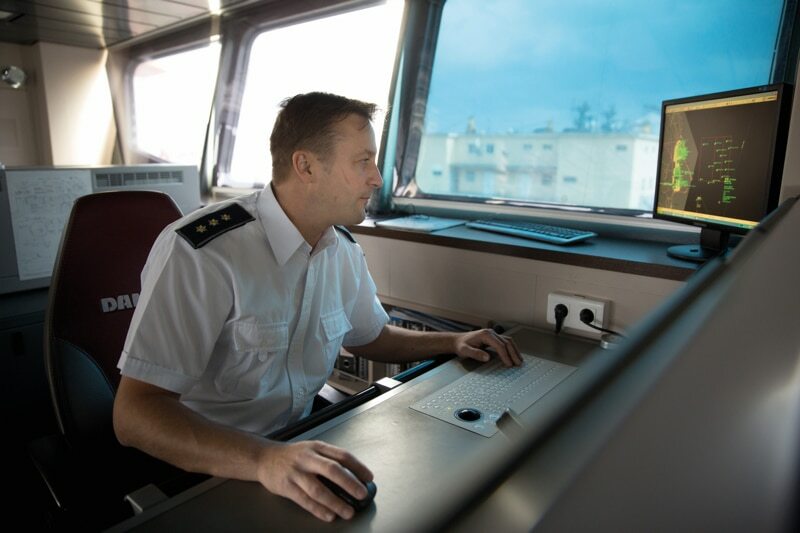 Captain Parashiv agrees this can happen but also warns of another common strategy used by traffickers: “All the people from the wheelhouse go down to the open deck, trying to hide between the others, in order to say they were refugees,” he says. The next day, Parvaneh went to see Serban and talked at length about the case. Serban told her that the authorities had signed statements made by witnesses implicating Mohammed, but that – while the signatures were different – the statements appeared to have been replicated. “They are literally all the same,” Parvaneh told me. Serban advised Parvaneh to gather new written testimonies from the other people who were aboard, stating that Mohammed wasn’t the driver. He told them that the trial should start soon. In late November 2017, the Romania Insider website reported that a verdict had been reached in the case of two other accused smugglers, one Bulgarian and one Cypriot. They had travelled on a boat from Istanbul that was carrying 69 Iraqis who came ashore in Romania in August, a month before Mohammed and Parvaneh. The men were found guilty, sentenced to three-and-half years in prison and fined €3,260. After serving their sentences, they would be banned from returning to Romania. It didn’t bode well for Mohammed. Finally, on 10th December 2017, the trial of Mohammed, Yusuf and Bryar began, convening about once a month over the winter and spring. In mid-January 2018, proceedings were cut short when the court-appointed translator had a heart attack and was rushed to hospital. Sergiu was further dismayed to learn that the defence witnesses, also asylum-seekers, had been transferred to another asylum centre located much further away. A bit of good news came in late January 2018. Parvaneh had been granted asylum in Romania and wouldn’t face deportation. I wrote to congratulate her. She was excited and sent me an emoji of a girl holding a giant heart. Mohammed and the two other suspects remained in pre-trial detention, crowded in ten to a room. In late March, Parvaneh called me, her voice high-pitched with joy. In the basic English she’d been learning since coming to Romania, she shared some more good news. “Mohammed free, Jodi! 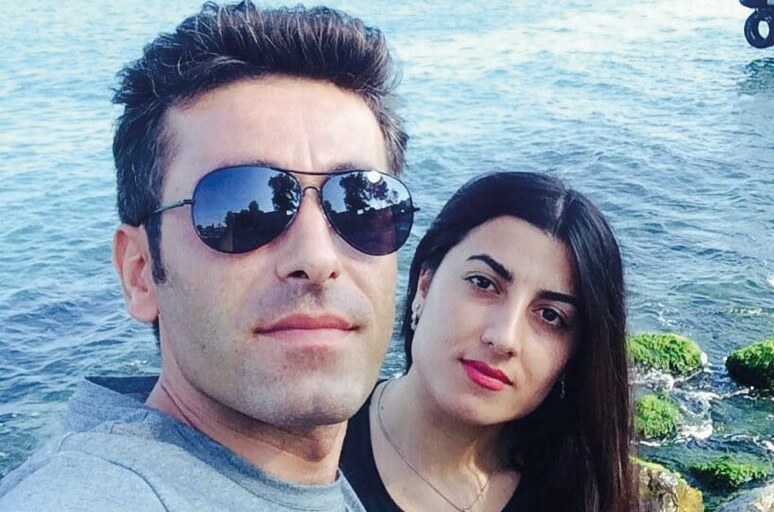 Free, Mohammed!” The court had accepted the defence lawyers’ pleas to rehouse their clients during the trial and the three accused men had been transferred to the accommodation for asylum-seekers in which Parvaneh was staying. They would remain here, free to come and go, while their cases were considered. I spent the Sunday afternoon before Mohammed’s next court appearance roaming around Constanța, an ancient city featuring remnants of Greek, Byzantine and Ottoman architecture, with him and Parvaneh. Parvaneh held Mohammed’s hand and teased him and they posed for a playful photo near the iconic Art Nouveau casino, abandoned after the fall of communism. They walked through the streets of the old town and visited the Grand Mosque, where they ascended the minaret’s corkscrew stairs to take in the view of Constanța’s harbour, palaces and churches. At lunch, over kebabs at a Turkish restaurant, I asked Parvaneh if she saw any changes in Mohammed. “More love,” she whispered to me, giggling. The next day a group gathered at the tribunal in Constanța. Parvaneh and Mohammed were there, along with the other two suspects, the two court-appointed attorneys and two translators. A witness was called for the defence and questioned by the judge. Through an interpreter he stated that the boat’s captain disappeared while the boat was crossing the Black Sea. He also testified on the record that he paid the fee for his voyage to another man, not to any of the suspects. Then the court was shown a video found on Mohammed’s mobile phone. In the video Bryar, the young Iraqi, was at the helm while Yusuf, the Turkish suspect, stood next to him. “At some point, [after encountering the Romanian coast guard] we realised that no one was driving the boat,” testified Bryar, in his defence. He explained that, upon hearing this news, a group of about eight men went up to the helm. He says that the coast guard gave them instructions on how to steer the boat. “I asked Mohammed to film me driving as a souvenir,” he told the judge, who raised her eyebrows sceptically. An Iraqi-Kurdish translator later explained to me that smugglers sometimes force immigrants to pose as drivers for videos in order to cover themselves. The court was dismissed until May, when a judgement would be announced. Sergiu feared the men might be sentenced to several years’ imprisonment. He informed his clients that they would have ten days to file an appeal if they were found guilty. On 25th May his fears were realised. Mohammed and his fellow defendants were found guilty and sentenced to three years and eight months in prison. On learning of the verdict, Bryar and Yusuf fled to Iraq and Turkey respectively, neither of which have extradition agreements with Romania. Only Mohammed remains. His appeal was scheduled to begin in October 2018 and could last months. While awaiting the new trial he has been allowed to live with Parvaneh at a camp for asylum-seekers in Constanța and is holding down a job in a factory. Even if the court clears Mohammed, the couple’s future is far from certain. Mohammed’s request for asylum in Romania has been denied, so unlike Parvaneh he is currently not allowed to stay should he be released, and faces possible deportation. Their plan is to marry again in Romania, where their Turkish religious ceremony is not recognised, in the hope that validating their relationship could help Mohammed reverse his asylum status. Meanwhile the Black Sea route seems to have closed once more. On 22nd September 2017, 24 migrants drowned and 14 were reported missing when a boat bound for Romania capsized off the shores of Turkey. Only one more crossing has been registered since, in November 2017. It appears that the violence of the waters and the severity of the Romanian authorities have proved too much of a deterrent for smugglers. While asylum-seekers continue to trickle in overland from Serbia, the Romanian authorities’ fear of a steep rise in new arrivals has not been realised. This entry was posted on Friday, November 23rd, 2018 at 3:38 pm and is filed under Delayed Gratification magazine, From the archive, Stories.